LEMON FRIENDS candy is one of Ferrara Pan’s most popular creations. Available in both chewy and a harder variety. These LEMON FRIENDS candies are of the latter variety, being mostly crunchy but not completely brittle. Delicious and tasty,it will make you happy. LEMON FRIENDS flavors: Grape, Cherry, and Apple plus Orangehead in the chewy variety. 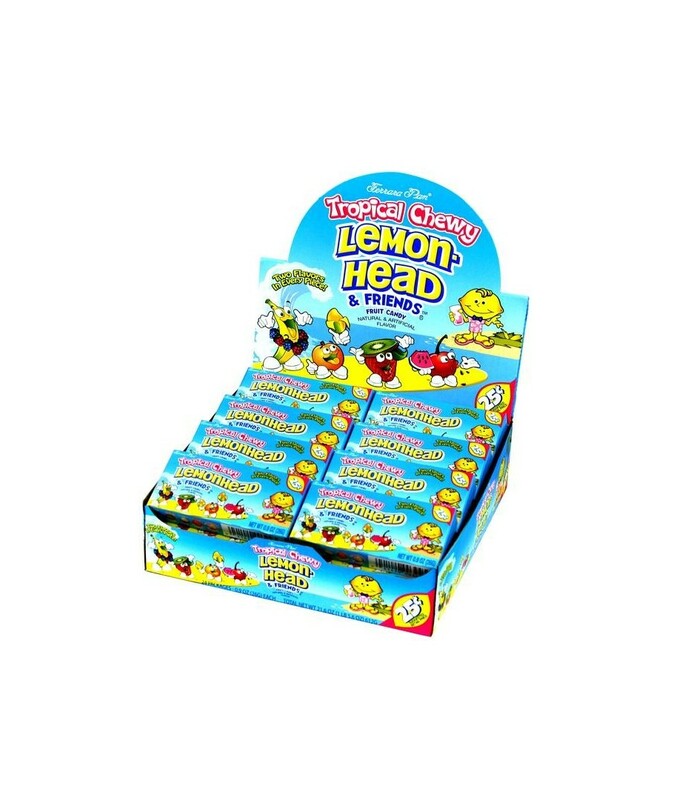 Order Ferrara Pan 25C CHEWS LEMON FRIENDS in bulk at wholesale price from Volt Candy Online. DOVE MILK CHOCOALTE 18 CT Dove Milk Chocolate Bar are the “silky smooth” chocolate bar that’s a sweet candy sensation. SKITTLES 24 CT SOUR SKITTLES 24 CT SOUR come in many different colors such as pink, purple, green, blue, and yellow.